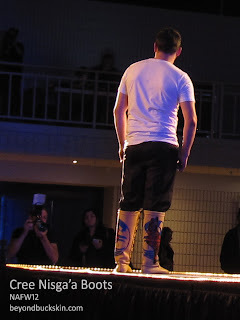 Much to my happiness, I got to see the cool boots of Cree Nisga'a Clothing made by Linda Lavallee (of the Montreal Lake Cree Nation), her husband Patrick Stewart (of the Nisga'a in northern British Columbia) and their son Cory Lavallee at the National Aboriginal Fashion Week. 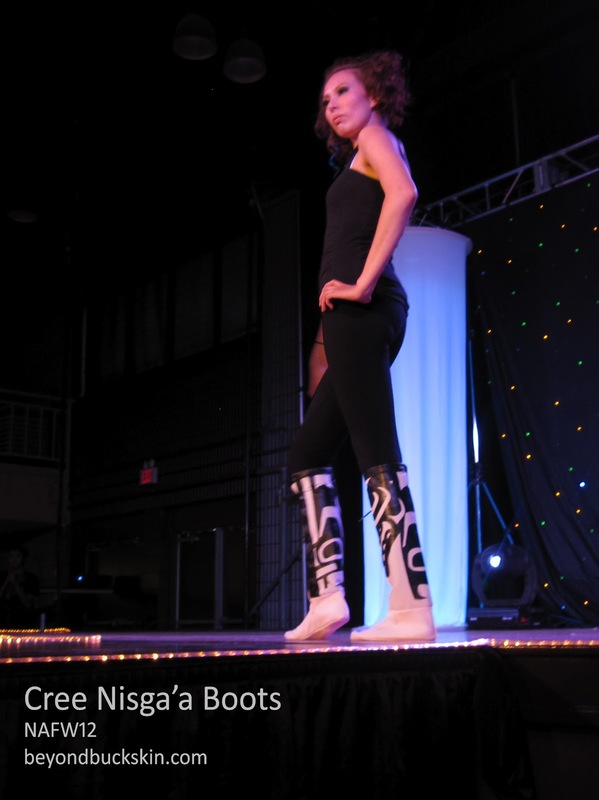 Specializing in beautifully decorated footwear, their boots are an adaptation of historic tall moccasins and mukluks from the cool northern subarctic region. 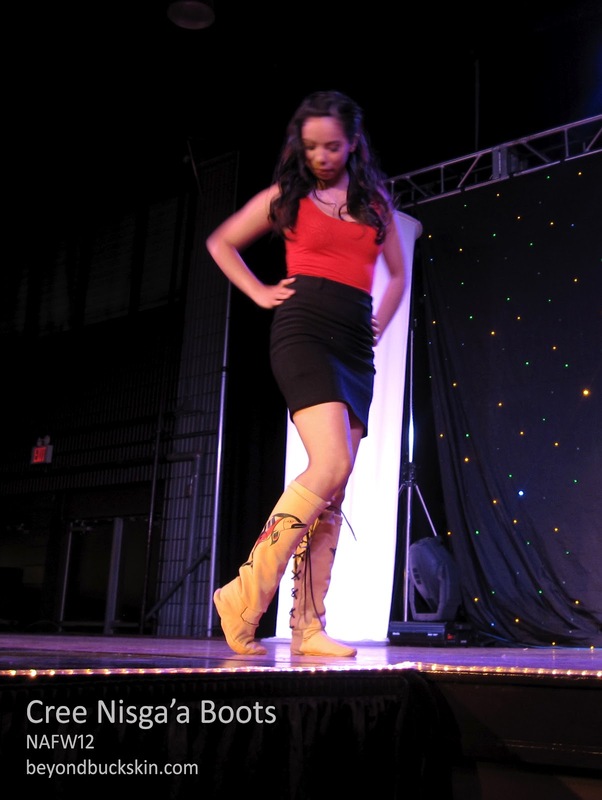 Each pair of boots is handcrafted using leathers and decorated using either painting or cutwork. They specialize in creating boots tailored to your feet - they can trace your foot to get the initial boot impression to whip you up a custom-made pair. The designs on the boots range from traditional graphic West Coast First Nations artwork to Plains Metis floral designs. Taking cues from nature, their design repertoire includes the killer whale, raven, flowers, hummingbirds, and tree designs. Cory also creates contemporary designs geared to appeal to youth. 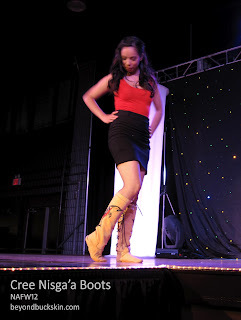 This kind of the fashion show gives the sense of the style and it is all about the boots. 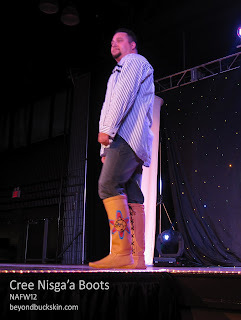 Lots of people did not know what to wear on their foot with the dress matching. This blog is very useful for the people and it is so interesting.